This essay by David Bronner, CEO of Dr. Bronner’s and Board Member of the Multidisciplinary Association for Psychedelic Studies, was first published in the MAPS Bulletin and on drbronner.com. Our family company, Dr. Bronner’s, donates a lot of resources to social justice NGOs and campaigns, including over $1 million to various state-level cannabis legalization campaigns in 2016. Collectively, well north of $40 million was raised in the 2016 election cycle alone to end prohibition and stop the enormous waste of taxpayer and law enforcement resources from ruining the lives of upstanding citizens and their families. Even with the Trump administration, momentum is growing to recognize medical cannabis at the federal level and remove it from Schedule 1 of the Controlled Substances Act. Now, we have the opportunity to legalize MDMA as a U.S. Food and Drug Administration (FDA)-approved medicine, to be available in all 50 states, for a total cost that is substantially less than what we as a movement are investing into legalizing medical and recreational cannabis. Along with many thousands of people, it’s been our honor and pleasure to support the Multidisciplinary Association for Psychedelic Studies (MAPS)’ strategy to fund FDA-approved clinical research on the effectiveness of psychedelic medicine for diverse conditions, and to change the political climate that makes this type of research so difficult to conduct. The amazing team at MAPS have overcome obstacle after obstacle to bring us to this great moment: not only the FDA’s recent go-ahead for Phase 3 studies of MDMA-assisted psychotherapy for treatment-resistant posttraumatic stress disorder (PTSD), but also the FDA’s final guidance on the Phase 3 study design and protocol. MAPS has mapped out a detailed five-year game plan and a $25 million budget, with FDA approval nearly assured when the research and funding are complete. Much of this expense is frontloaded in the first two years, so in order to be assured that the cash flow is there as needed, we need to get pledges lined up before we begin the studies. This is the crucial moment to step up for one of the most important causes on the planet. There is tremendous suffering and pain that the responsible integration of MDMA for treatment-resistant PTSD will alleviate and heal. Plus, once MDMA is an FDA-approved medicine, legal use for other conditions is close behind. The FDA’s approval of MDMA will also pave the way for other psychedelic medicines to follow, such as psilocybin for end-of-life anxiety and ibogaine for opiate addiction. To help inspire our allies to close the funding gap, my family has pledged $1 million a year for five years—$5 million total—by far our largest gift to an NGO partner to date. In part we were inspired by the incredible example of Ashawna Hailey, former MAPS Board member, who gave MAPS $5 million when she died five years ago. MAPS has banked those funds for Phase 3, and coupled with our gift, that leaves a $15 million gap for other angel donors to close. Smaller donations add up huge if enough people throw down. We face enormous challenges globally, and psychedelics—used responsibly—can help us solve them. 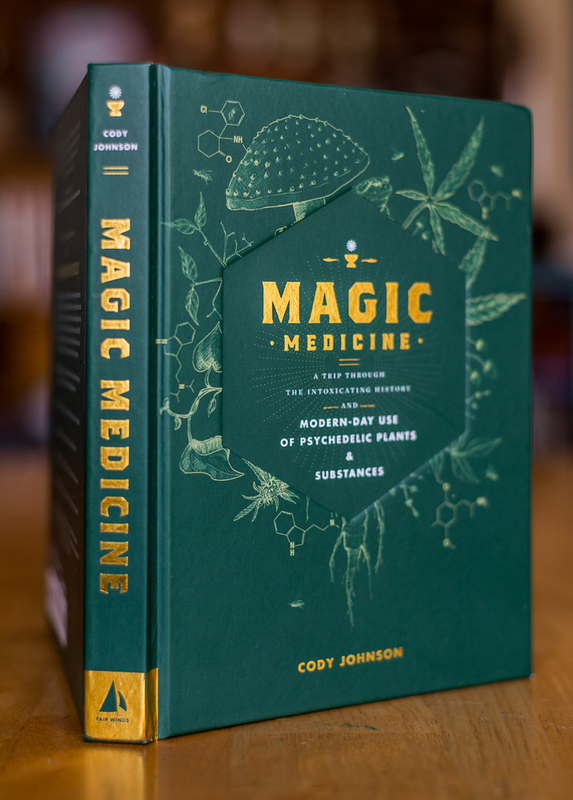 MAPS’ larger goal is to see psychedelic medicine responsibly integrated into American and global culture, readily available to those who need it most, while helping the rest of us open our hearts and minds to each other and to the miraculous living world we live within. MAPS intends to use the profits generated from selling MDMA once it’s an FDA-approved medicine to train therapists and set up treatment clinics around the world, and to expand its research and move other psychedelics through the formal FDA regulatory approval process. Thus, our investment now into making MDMA a legal medicine will turn MAPS and the broader field of psychedelic science into a self-sustaining organism, exponentially increasing MAPS’ ability to impact and change the world. I hope you are as inspired as we are to help them do it. David Bronner is President of Dr. Bronner’s Magic Soaps, the topselling natural brand of soaps in North America. He graduated with a degree in Biology from Harvard University in 1995. David dedicates resources to different issues on behalf of the company’s mission to make products of the highest quality, and to use profits thereof to help make a better world. He can be reached at info@drbronner.com.